"Nigeria To Go Back To December/January Fiscal Year". The Federal Government on Tuesday started a move to return the country back to a predictable January to December fiscal year with early preparation of the 2018 budget proposals. The Minister of Budget and National Planning, Sen. Udoma Udo Udoma said this in a statement signed by his Media Adviser, James Akpandem in Abuja. Udoma said that the ministry held an event, tagged: “Flag of the 2018 Budget Preparation Process’’ to inform the relevant Ministries Departments and Agencies (MDAs) on the processes and procedures of the budget preparation. The event came up less than 24 hours after Acting President Yemi Osinbajo signed the 2017 Appropriation Bill into law. At the event, Osinbajo said“ going forward, we have agreed with the National Assembly leadership on the necessity to get Nigeria back onto a predictable January to December fiscal year. The Acting President emphasised on the need for direct involvement of Ministers, Permanent Secretaries and heads of government agencies in the preparation of their respective establishments’ budgets. “Ministers and Permanent Secretaries are to take responsibility to ensure that as much as possible their 2017 Budget is implemented between now and December. “They are also to be personally involved in the process for the preparation of the 2018 Budget to ensure that we meet the deadline of submitting it to the National Assembly by early October 2017,” he said. In addition, Osinbajo said that they must fast-track the implementation of the 2017 Budget to make up for the lost time and to deliver on expectations. He observed that Personnel Costs had continued to be a source of budgetary pressure, urging the MDAs to collaborate with the relevant authorities to ensure that only legitimate employees are on the payroll. He told them to collaborate with the Ministry of Budget and National Planning as well as the Ministry of Finance, in their efforts to ensure full implementation of the IPPIS. The Acting President also tasked the top government functionaries to pay serious attention to the revenue side of the budget as the country needed to improve on revenue generation to fund of the budget. Speaking further, Udoma reminded the officials that the 2018 Personnel Budget Call Circular had been issued to them since April. The minister said work had already commenced on the 2018-2020 Medium Term Expenditure Framework /Fiscal Strategy Paper (MTEF/FSP). These objectives, he said, were particularly important for a government which had change as its agenda. 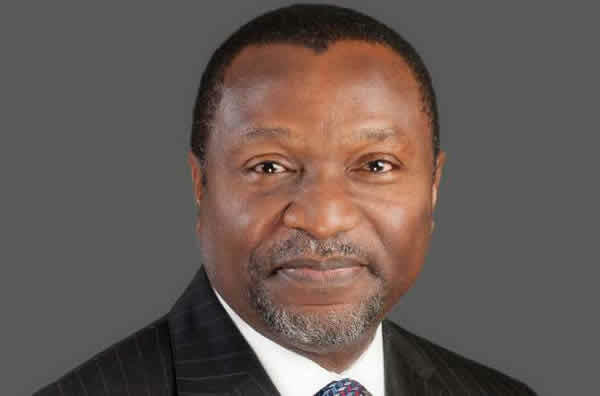 Udoma, however, said that the 2018 budget would be the first full-year budget following the finalisation of the Economic Recovery and Growth Plan (ERGP). “It became imperative that the budget was fully aligned with the objectives and priorities of the ERGP. “The 2018 budget process is therefore being harmonised with the Implementation Roadmap for the ERGP,’’ he said. The event was aimed at sensitising all top government functionaries and other stakeholders on the ERGP Implementation Roadmap and critical guidelines for the preparation of the 2018 budget to ensure its alignment with the ERGP.